NEW BRITAIN - The New Britain Bees are playing some of their worst baseball at the most inopportune time of the season. 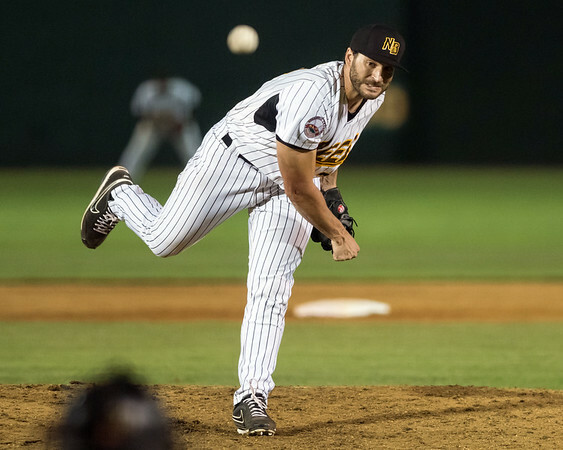 With just nine games remaining in the regular season, the Bees are 2-8 in their last 10 games and are in a distant third place in the Liberty Division - they’re 6 ½ games behind the second-place Somerset Patriots and 7 ½ games behind the division-leading Long Island Ducks. New Britain’s biggest reason for the low standing is its inability to beat the teams above them. The Bees were just swept by Somerset, which gives them six straight losses to the Patriots - all of which came in the second half. For the season, the Bees are 7-10 against Somerset. New Britain hasn’t fared much better against Long Island. Heading into Thursday night’s matchup with the Ducks, the Bees were 8-9 against the team atop the division standings. New Britain has struggled to jump out to early leads as of late. In the last 10 games, heading into Thursday’s matchup, the Bees scored first in just one matchup, Wednesday’s 4-3 win over Long Island. The bats in the New Britain have gone ice cold. The team has combined for 31 runs in the last week and a half, but 10 of those runs came in the August 29 win over York. That means the team has averaged 2.33 runs per game in the other nine contests. As it has all season long, the bullpen has been the strong point of the team. Over the past week, five of the seven relievers to take the mound (Jim Fuller, Brandon Cunniff, Brandon Beachy, Evan Scribner and Elvin Ramirez) have posted 0.00 ERAs. The only pitcher to appear in one game is Fuller - the rest appeared in multiple games. There have been some who have struggled. Chris Reed and Matt Quintana have struggled out of the pen for the Bees with ERAs of 6.00 and 7.50, respectively. Despite the wide margin the Bees have to overcome to make the postseason, there is still a shred of hope. Out of the nine games remaining in the regular season, the next six are at New Britain Stadium. The Bees will have to win nearly every game left on the schedule and get some help to make it in, but stranger things have happened before. Posted in New Britain Herald, New Britain Bees on Thursday, 6 September 2018 19:57. Updated: Thursday, 6 September 2018 19:59.